Innovation- Isn't technology amazing? We recently found another great way to keep you informed of what's happening in Sedona & the Verde Valley. Check out the digital version of our magazine, Northern Arizona Living- the Fall 2015 issue, by clicking above. Connect with us on Facebook- Oh, we promise... no stupid fluff, but we warn you- we do like a good laugh, snort and snicker! Besides, it's a real nice break between real estate news or views! Arizona Subdivision Laws- Arizona has some of the toughest laws in the nation to protect real estate buyers from land fraud, but unfortunately, many Arizona real estate investors may unknowingly be in violation of the law. The Code of The West- A guide to living in the rural Southwest. All newcomers to Sedona and the Verde Valley should read up on living in rural area and be wary of some of the issues regarding Sedona real estate and real estate in the Verde Valley. Buyer Cliff Notes- Lets face it, not many people thoroughly read that massive stack of paperwork given to them by their insurance agent or real estate agent! Enjoy our crash course, and feel free to drop a line if you have any questions! We love sharing our knowledge! Cliff Notes for Arizona Real Estate Sellers Seller's, here's your cheat sheet! Foreclosure Alternatives Facing a large mortgage payment increase in the near future? Over 100,000 Arizonans are within the next 3 years. Regardless of what you may have heard, a short sale ( or simply walking away), may not be your only options. For a little more info on the subject read this article- What Happens When You Walkaway and then contact our office for a confidential consultation. Rent or Buy? Our on-line calculators will allow you to slice and dice the numbers in a variety of ways. Why we chose to pursue happiness here.....Enjoy some photos of our beautiful Arizona! 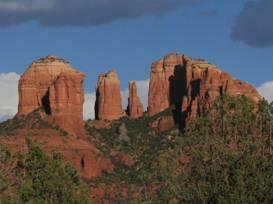 Verde Valley AZ real estate and Sedona real estate offerings are diverse in style and price. New construction in the Verde Valley is currently slow and sparse, after a building boom in the early 2000's. Camp Verde, Cottonwood, and Sedona are the commercial centers of the Verde Valley, with easy access to shopping and medical facilities. Clarkdale, Cornville, Jerome, Lake Montezuma, Rimrock and the Village of Oak Creek have more limited services. Cottonwood & Sedona have hospital facilities and while most of the Verde Valley Lodging is in Sedona, nearly all of the areas larger retail stores are in Cottonwood, including 3 full service grocers, a Walmart® Supercenter, Home Depot®, JcPenney’s, Sears & Office Max. Sedona has 2 full service grocers, a multiplex movie theater and a wide variety of restaurants and retail boutiques. Camp Verde has a full service grocer. To find out more about the communities of Sedona, Cottonwood and Camp Verde, click here. 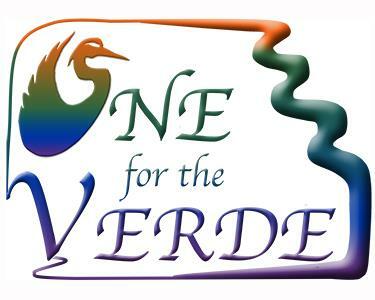 Click here to find out how we'll partner with you to give "One for the Verde."